It is with great regret I wish to announce the closing of this blog. We have come along way in the past three years with the help of my blog co-contributor Lloyd and all other photo contributors however due to the speed of life and rising costs I have decided to close this blog indefinitely. I work in the airline industry with a major Australian airline and therefore perform shift work with many early mornings and late night shifts. These shifts are often extended when aircraft are off-schedule due to bad weather or mechanical. Our roster is now computer generated and this has greatly reduced my rostered days off and consequently I have less time to take photographs at the airport and less time to keep this blog up-to-date. I would like to sincerely thank my blog co-contributor Lloyd for all his regular updates over the years and to every local plane spotter who contributed photos. If you would like to continue to follow photos taken by Lloyd or myself, I have included links below to our Flickr pages. ZK-MVI arrives BNE last evening on delivery to NZ. This ATR72-600 arrived last evening from KOE and DRW and is due to depart today to HLZ in NZ. CN is 1306 and is ex (F-WWEL).This is the 2nd delivery through BNE in the past 10 days. Snapshot from 30 Dec 2015 at BNE. Another first visit of PAL A321-231(WL) on PR 221/222 MNL-DRW-BNE-DRW-MNL. Lineage 1000 (ERJ-190) N889ML lands today. This Lineage 1000 landed earlier today from Macau.ERJ-190 C/N 19000438. Gulfstream IV-SP N810LP msn 1260 arrived BNE today from Essendon. Emirates A380-861 A6-EDV msn 101 made its first visit today as it ferried into Brisbane from Bangkok as UAE2549 and then operated a delayed flight BNE-AKL-BNE as UAE434D/435D due to the cancellation of UAE434/435 yesterday due to technical problems with A380 A6-EDO. This A321-231(WL)msn 6531 operated yesterday's PR221/222 to MNL.This is the fourth new A321 to visit this December. Air New Zealand Link ATR-72-600 ZK-MVH arrived BNE tonight from Kupang as SXI1532. The aircraft is on its delivery flight to NZ. AN12F,SQ 333,VA 77W from earlier this morning. All 3 landing 01 this morning at BNE. 2 from Yesterday.THAI 788 and Jetstar Logojet. HS-TQA and the Peanuts Snoopy Jetstar A320. N153QS Twin Otter arrives from NOU today. Today Viking DHC-6-400 Twin Otter msn 869 arrived from NOU. Some diversions from Sydney due to bad weather. 3 of the first 4 flights by their A321 this summer season has resulted in first time visits. RP-C9902 A321-231(WL) first visit today. Philippines brought in another first time visitor today to BNE. 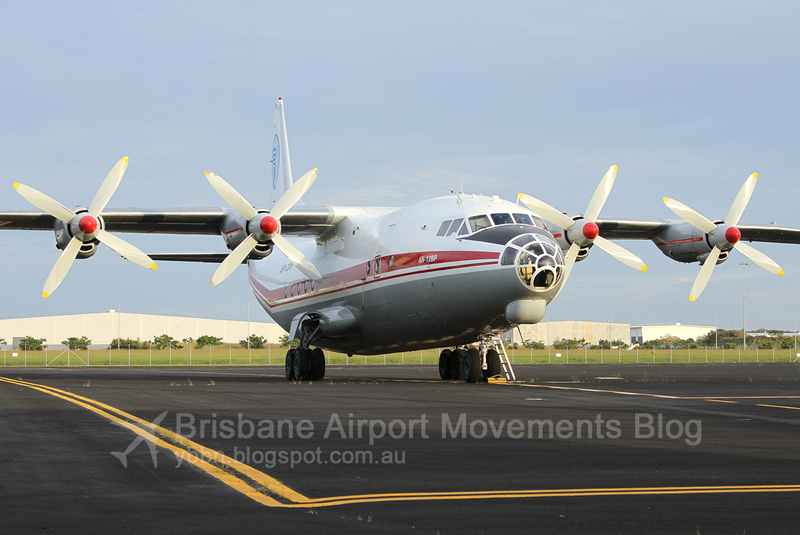 Ukraine Air Alliance Antonov An-12BP UR-CGW msn 402410 arrived BNE last night from Denpasar as UKL4042. The AN-12 is said to be operating a few charters to Nauru out of Brisbane. Gulfstream G550 N540W msn 5416 arrived BNE this afternoon and is owned by Harpo Productions Inc.
RP-C9912 First visit to BNE today. Philippines today upgraded their A320 flight to a A321 for the next 6 weeks.It is a A321-231(WL) MSN 6291. Photos below of it landing RWY 01 at BNE earlier today. 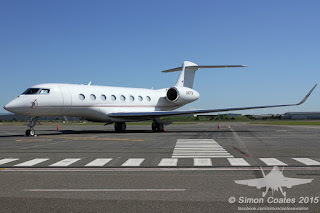 Gulfstream G300 N388AJ msn 1508 arrived BNE today from Davao City. 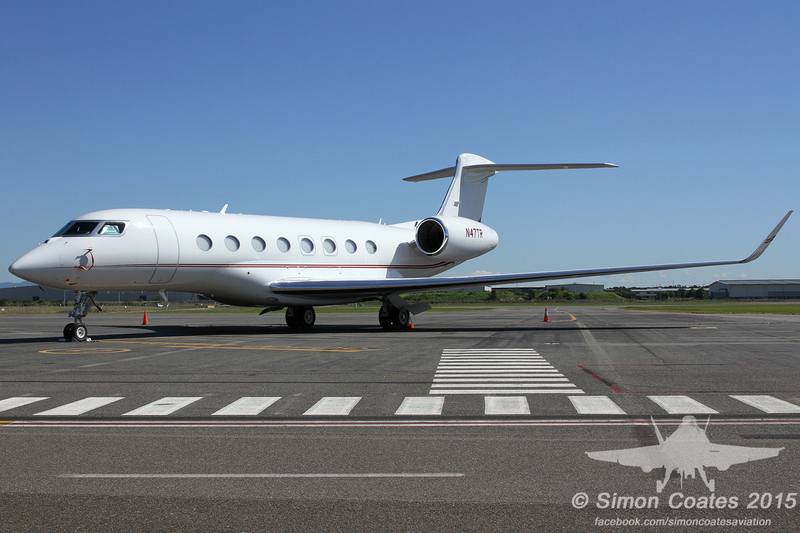 Perth based Avwest Aviation Gulfstream 650 N47TR msn 6101 arrived BNE yesterday and departed today for Canberra. 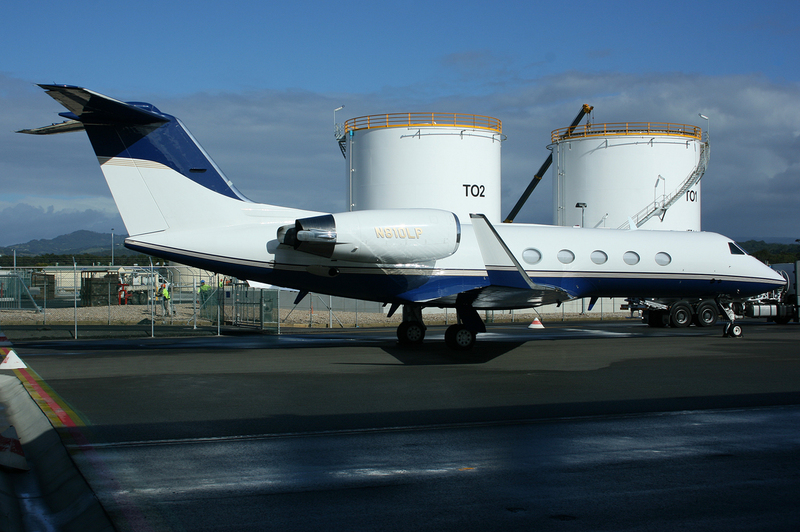 N650JH a Gulfstream 650 S/N 6076 landed at 0830 this morning from HNL. Singapore Airlines Airbus A330-343 9V-SSI msn 1666 made its first visit to BNE last night operating SQ245/246 to/from Singapore. 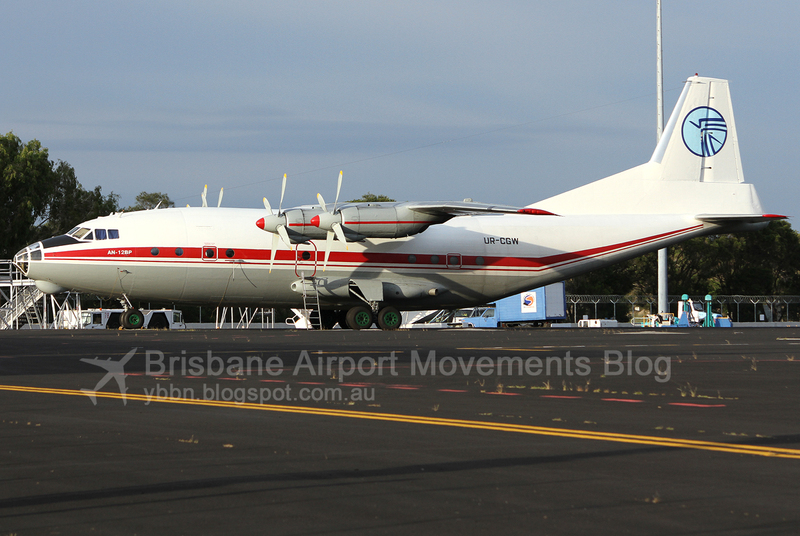 This 77W operated the UAE 432/433 SIN-BNE-SIN earlier this morning. This is a 777-31H(ER) CN 42322/1335. N130FF arrived from Majuro this afternoon bound for Victoria for the fire fighting season.This is a C-130 Next Generation Air Tanker and some photos of it's arrival today at YBBN. All photos displayed on the Brisbane Airport Movement blog are copyrighted to the photographer who took them. Any use of these photos other than 'personal use' requires written permission from the photographer. Anyone, including the media, who wish to utilise any pictures displayed on this blog for reasons other than 'personal use' are encouraged to contact us to request permission to use the photo(s). Copyright © 2014 Brisbane Airport Movements Blog. . Awesome Inc. theme. Powered by Blogger.